On the screen for the campaign, ad group, or ad, tap Bid Wizard. Note. 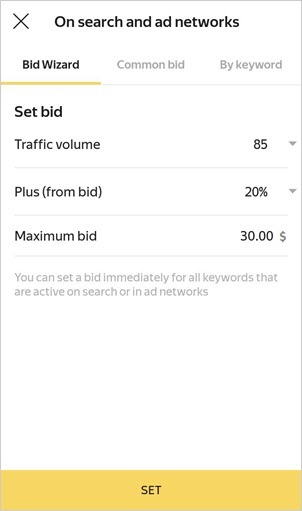 This button does not appear for campaigns with automatic display strategies that do not involve manual bidding. By default in the coverage column there are dashes in the keyword list. To get information, tap Download prices.